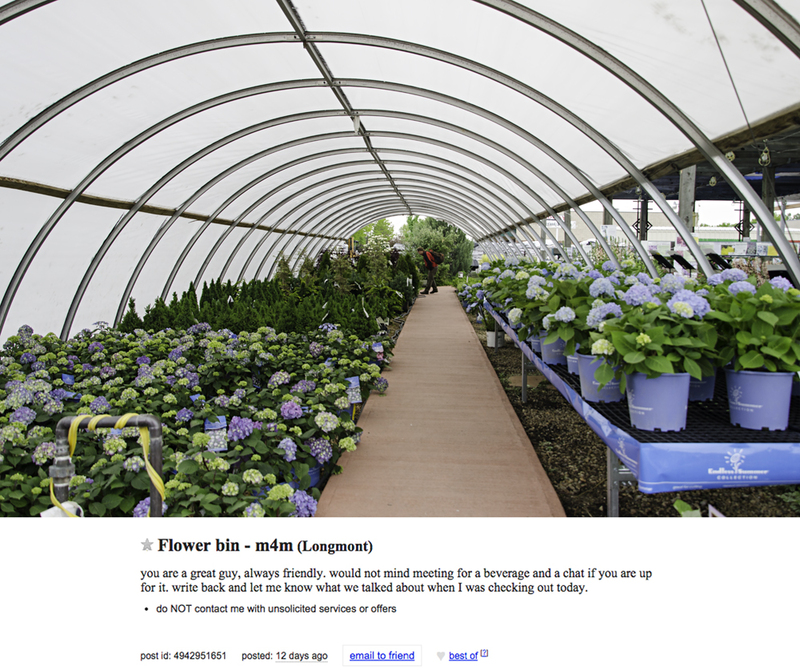 In the ever-growing expansion of technology, where websites and apps are pristinely designed for easy use and accessibility, Craigslist stands as a remedial virtual bulletin board that hasn’t changed its look in twenty years of existence. Craigslist is used for an endless amount of community listings; including buying and selling unwanted goods, job postings, and real estate. 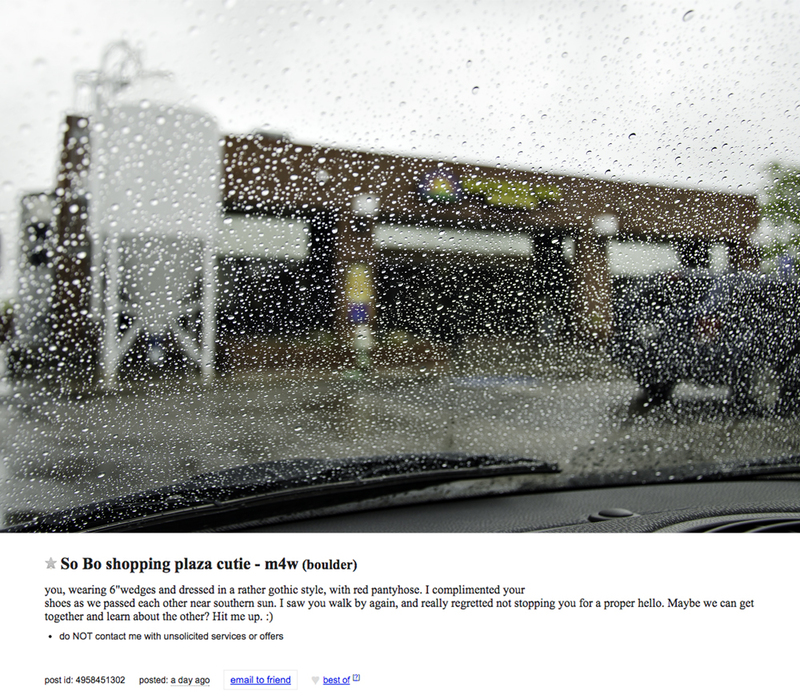 One of the most interesting, yet seemingly least useful, aspects of Craigslist is the Missed Connections page. 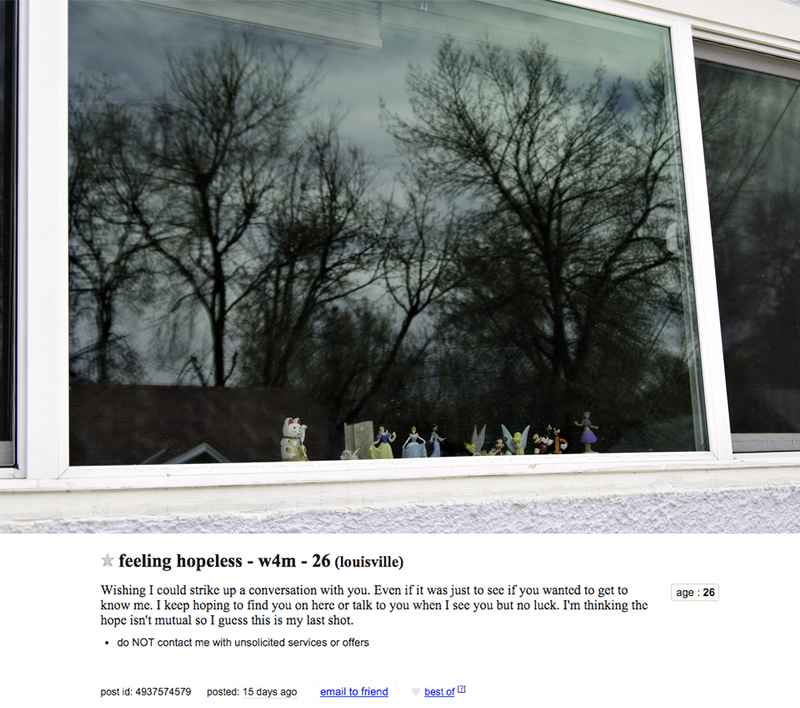 There we find listings upon listings of men and women who have had a brief encounter with someone, a potential connection or interest, and for one reason or another were unable to act on it until they got home to their computer. These Missed Connections can be funny, sad, poignant, and beautiful all at the same time, but one thing they are never is dull. Paul Sisson lives and works in Arvada, Colorado. To view more of Paul's work, please visit his website.